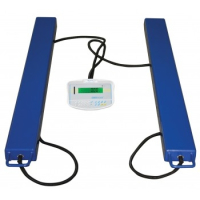 Floor scale is a term used to describe weighing scales that are placed on warehouse or factory floors rather than on the traditional bench or worktop. Floor scales come in wide variety of shapes and sizes and tend to have large weighing capacities and platform sizes. 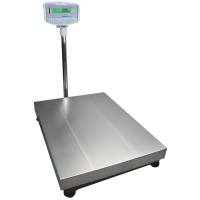 Larger industrial floor scales such as Adam Equipment's PT platform scale can be used to weigh large, oversized or multiple products at once. The PT can be combined with Adam weight and counting indicators for providing increased weighing applications such as checkweighing, parts counting and dynamic / animal weighing. It is important place your floor scale on a stable, flat surface to ensure weighing accuracy and to prevent injury or accidental damage when stacking multiple objects. 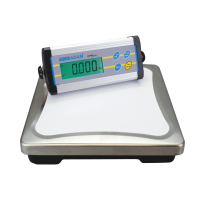 Scaletec offer a comprehensive selection of industrial floor scales manufactured by Adam Equipment. If you require further help choosing the best floor scale for your needs please contact us. 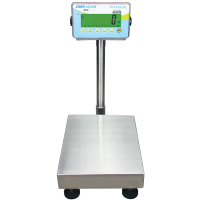 Adam Equipment's GBK platform floor scales include checkweighing LED limit indicators and parts counting applications with fully selectable sample or unit weight. 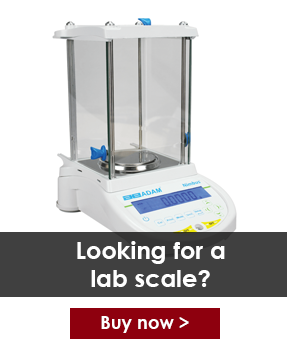 The scale features a durable build for a variety of industries and can meet the demands of warehouse, production floor and general industrial weighing applications. Q: Do I need my floor scale to be trade approved? A: For general use, floor scales will not require approvals, however if you are looking to buy or sell by weight then you will need to ensure that your floor scale is trade approved by your certified local authority. In South Africa, your scale will need to be NRCS approved if carrying out transactions by weight. 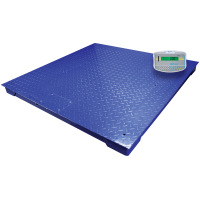 PTM and PT weighing platforms can be combined with trade approved GK weight indicators for selling large bulky products such as scrap metal and sacks of produce by weight.